Royal weddings!! Wow! The only thought gives Goosebumps, who on earth would not want to be the part of some royal wedding in his/her life. Royal weddings are no less than a dream for people, everybody in his/her lifetime would want to witness it, and it will surely be a mesmerizing for anyone who would get the road to a royal wedding. A photographer’s biggest ever dream would be to capture a royal couple in a royal wedding. What if you get that lucky chance – it would be like your first wedding shoot feel, where in feelings were a mix of anxiety, apprehension along with the happiness that you got that first chance of your life. Surely, you have done a lot, you have come a long way and now you are looking for a royal wedding to cover it and which will not only add to your portfolio, but also you will be a renowned photographer overnight. Photography is not just your profession it is your passion and nothing would feed your soul more than having a calendar booked with a royal wedding photography assignment. You might be wondering how on earth that is possible to get the assignment for shooting a royal wedding, most expensive of all, once in a life time event of your life too. 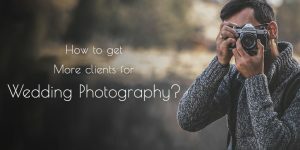 Some techniques, some efforts and some tactics you can try out to get a booking for a royal wedding photography. I am sure you know that every booking of yours begins with awareness. So, to get those bookings, prospects have to know you exist. More often than not, it just takes an ephemeral exposure or a mere introduction of yours, which can lead to a paying client. But you already have a nice clientele and now what you are looking for is an opportunity to become part of a royal wedding as a professional photographer. Make a list of all the prospects first. Investigate what type of photographer a royal couple is looking for, know them inside out. Everything about their life, their Hobbies, interests, what they do on the weekend and favorite activities. Is there any event sooner, they are planning to attend. The better you know your (royal) client’s personality and interests, the easier it will be for you to identify where they might hang out. Know what types of events they frequent. Yes, you will not believe how many good connects you can get just through giving them the taste of your work before even pitching them for the event. Those trial sessions can undoubtedly help you steal that opportunity. Now, the question is how you will do that, easy as I said know your client well. Here you just need to partner up with their vendors, may be the wedding planner, may be their hairstylist, or their make-up artist for that matter. 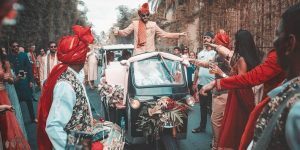 There are so many wedding suppliers when it’s a big shot event and you already know, chances are you might know some of them or any of them just try to team-up with them to get through that once in a lifetime opportunity. You can also team-up with the renowned dress designers (if possible), because the first thing a bride do is to finalize the wedding dress designer. Make a list of top-notch wedding dress designers, share your gallery with them. Try to take some complimentary pictures of a bride to be or groom to be, they will surely like it. 3. How are you special? Every couple seek a photographer who can make their wedding album a fairy tale memoir and here you are trying to tap a royal couple for your shoot. Only your work can differentiate you from others, what’s your niche, let them know your niche. If you are able to get contact details of the couple or may be there assistants, do the needful share best of your work with them and tell them how you can bring that element of uniqueness in their wedding. 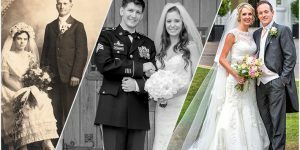 Let them know how all you can add to their wedding album in total. Everybody would want to capture the royal couple, off-course name and fame are there and the money which you will get in return will be huge. You will be counted in big shots after that for sure. Yes, building strong relationship with event managers, wedding planners, venue managers, destination wedding venues and other wedding suppliers can be really helpful to get Royal wedding clients. As the best source of getting royal client is referrals, but the question is how you will get those referrals. Here it is…. Make a list of the top venues, luxury destination venues, you feel your ideal client is most likely to host at. 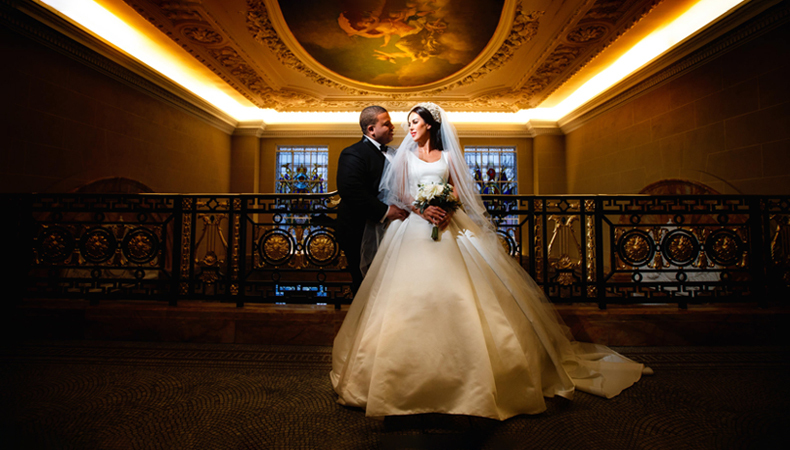 As venues are the first to be finalized for any wedding. Try to reach out to the Manager in those venue. Tell them that you are keen to shoot the venue on complimentary basis. Scour the venue, capture few good shots. Do not forget to carry your business cards and a giveaway portfolio of your work to share with the Manager there. Go slow, just don’t directly ask or push for referrals. Have patience, they don’t like such behaviors in the first go, also, they might have their own list of photographers already. Let them approach you, if your work is good, they will surely come. Build relationship with the manager there, good relationship help you get good clients in now and future too. If you will rush in first attempt chances are you will not even be in their list. Try things to come in their good books, like gifts, blogging about their venue, writing in your website about their venue. There are many things which you can do to lure them. Off course positive things. Your referrals can be your peers too. Don’t have competitive relations with them, go smooth, they can be your top source of referrals. More often than not, it happens your good connection with your peers can help you good clientele out of which one can be royal too. Also, if you have good peer connections and they are going to photograph some royal couple, then surely only one or two won’t be doing such big event. There must be requirement of more photographers and if you have good peer connect, you can be that lucky one your peer would want to have in this photo shoot. 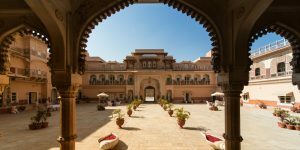 If you are a photographer who love to wander from place to place, who love to holiday a lot in several faraway places, then you never know when you happen to encounter some royal couple to be in the public. And if by chance you spot the royal couple in public in any such occasion or may be in some event or may be holidaying in a beach side. That’s great, you have great opportunity to play your right card now, your skill is your asset right now, just utilize your talent capture them, showcase your work, and let the show go….. Yes, you should always target to do some good for the social cause also. May be you can volunteer some event of such nature. You never know when those work of social nature can give you that one great opportunity you were always looking ahead to. If you know then you must now that these royal couples are very much get themselves involved in charity events. Most often they are in news for their charity works, details about them, you can know some news about their charity or work for the society online or may be offline. Be part of it, this is one of the idea to get visibility and off course you are doing for the people too. Participate or volunteer charity events, build relationship with other participants too. Also, don’t forget to have your logo on the event’s standee or backdrop, as a small logo on the backdrop can help you get that eye upon you. Do you exist online? Yes an imperative question and very important for being favorite in the list. You know how wonderful your existence online can be? Your online existence can actually do wonders in your life. As you also know everything is digitized now. Whenever a couple or assistants in case of royal weddings, have to search for something for their wedding, they go online before any other source. So, have online presence that matters the most. Also, only online presence won’t do the needful, in fact you have to make sure you have a nice gallery online, which is different from others, not matching, matching to offer to your client. Your gallery is mesmerizing, something ‘can’t be left’ sort of, eye catchy. Your photographs are your voice there, make sure their talks are captivating, they speak better and beautiful… what is so special about you matters a lot, how you stand out from others. I assume you know that it is your work which will speak for you, only your talking will not fetch you anything if the work you have done so far is not up to the mark. Invest your skills in best of your works. Showcase that everywhere and anywhere to get the perfect visibility. Don’t just speak, in fact sell yourself through your best of work. You will surely get what you desire. No royal couple will be undertaking their wedding related tasks all by themselves, there has to be someone else who will be doing all that for them. Just try to reach out the right person. Once you will reach the right person your chances for getting hired will likely be more. 12. Are you the one who keeps abreast with social media? Social media is thriving we all know, and one has the leverage to get connected to the world and showcase his work to the world without any constraint. Do you keep updating your profile or have you left those old pictures without updating your profile anymore or are you so busy to update it, then surely you should forget to be noticed when you rare not updated. Social media and social media marketing can do wonders in your life, and you never know when through those updates of your account you get that royal opportunity to capture the royal couple for their wedding. Your existence across all social media networks matters a lot, people notice and this one is the top way to be visible to the people. As everything is online these days and people are regular on social media these days. The first attempt to find the wedding vendors will be online and social media networks. Become a writer, I am not joking. Actually what I mean to say is if you have skills you should always try to share your knowledge with people and this way you will be visible more. People will know about your knowledge of photography, moreover they will know your capabilities to capture best wedding photographs. You have to have your presence everywhere and anywhere if you really want to leave no stone unturned. You cannot take anything lightly for sure. Slightest of your ignorance can create a hindrance in accomplishing your dream. Try to pitch yourself through your article. Read other photographers articles too. Connect with them through their posts. Try to connect with other photographers (the renowned ones), request them for posting your guest posts on their websites, this will increase your chances of getting more visibility among the people world-wide. And will let you have that chance of attracting a royal couple amidst all these activities. May be you can give them a complimentary maternity shoot or their first kids arrival shoot on discounted rates. There is a lot you can do… Only when you have good relation with them, your chances of getting work from their end increase to great extent. Because they also care for you…. just to let them know they are special and you care for your clients, they are not just clients but more that to you. Pay attention to every detail they have shared with you. Message should be clear as crystal. Don’t forget to mention, how you are different. All in all, if you approach them with their best interests in mind, your chances of getting are likely to be more. Be different, know what they want and give them the best, exceeding their expectations. Be a hero photographer, and that is only possible when you know your royal client and their needs and your approach is right.